This is an original production cel featuring Top Cat's friends, Spook and Brain, that was used in the production of Top Cat and the Beverly Hills Cats (1987). The untrimmed cel measures 10.5" x 12.5" and the image measures 3.5" x 6.5". 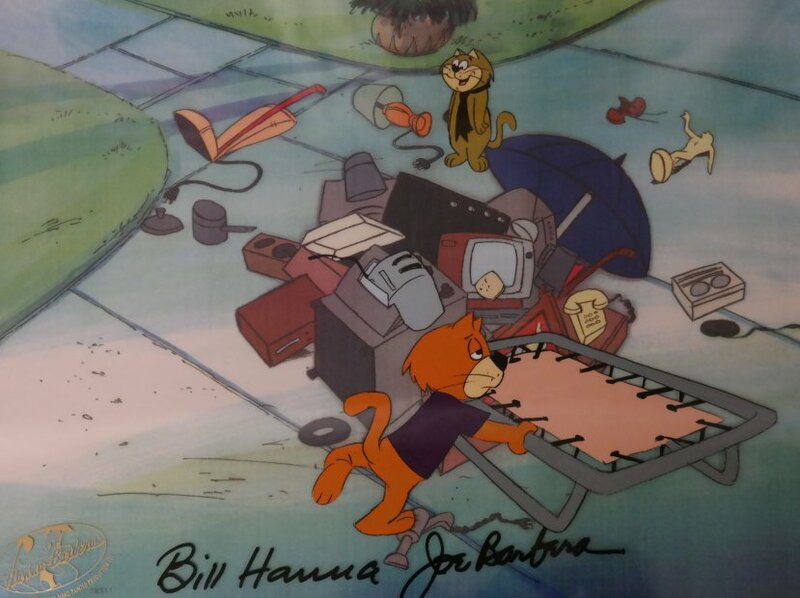 The cel has been hand-signed by Bill Hanna and Joe Barbera, placed over a copy background, and framed.